This morning we (finally) signed the papers to buy our house! We hope to host family and friends here for many years to come. (PLEASE! Let’s not move for AT LEAST another twenty years, my husband begged). Our house has been referred to as The Old Rectory in real estate documents we’ve seen, because it was originally built in 1920 for the minister of the Presbyterian church around the corner from us. The other momentous occasion that happened today was my son’s graduation from middle school. I thought for sure we were going to miss it, but our attorney was able to meet with us earlier than expected. We raced over to the school straight from his office, expecting only to see our son waiting for us in front of the school. Miraculously, we arrived just moments before they started calling out the names of all the graduates! I can still hear the wistful tone in my dad’s voice as he held my oldest son in his arms for the first time. You’re not going to believe it now, he said, but in the blink of an eye he’ll be grown and out of the house and you won’t even know how it happened. Every single day I feel like it’s all going much, much too fast. Slow it down a little, please! Eve is knit from Adam’s rib. Is preserved in our lungs to this day. Whose adoption marks the origin of my lineage. Doesn’t everyone’s story begin with a miracle? With efforts of will or imagination? And our roots spread wherever we plant them. Today the sun shone for the first time in days. Most of the snow has now melted and my beloved crocuses are pirouetting all over my yard. Oh joy! Thanks to Daylight Savings, there was just enough light when I got home from work today to take some photos. The first thing I planted in the yard of our very first house was a variety of purple crocuses. For seven springs I loved watching them come up through the grass. I think I’m so fond of them, because of the way they intrepidly shoot up right through the snow to announce that spring is just around the corner. When we moved to our current house, I couldn’t bear to have a spring without them and so I planted them by the handful again, all over our new front yard. I know I’ll do the same when we move to our next house. It takes a certain amount of faith to shove crocus corms into the earth in the autumn. There’s something quite miraculous about the fact that within these hard, brown kernels are hiding gorgeous silky flowers that bide their time all winter long, just waiting for spring to come sashaying up out of the mud. Shall rise our heart’s dear flower. does it belong – who treads the hidden loom? that aid the first small crocus to emerge? and then lead on again the universe? Conjuring up a feast out of thin air like some two-bit magician. Lot pushed the door open wide, and loudly insisted they come inside. I threw my hands up in despair and made our little girls go and hide. Suddenly, we were awakened by the clamor of a riot. I grabbed a frying pan and tried to bash it over the old man’s head. I wanted nothing more than to see that sanctimonious jackass dead. 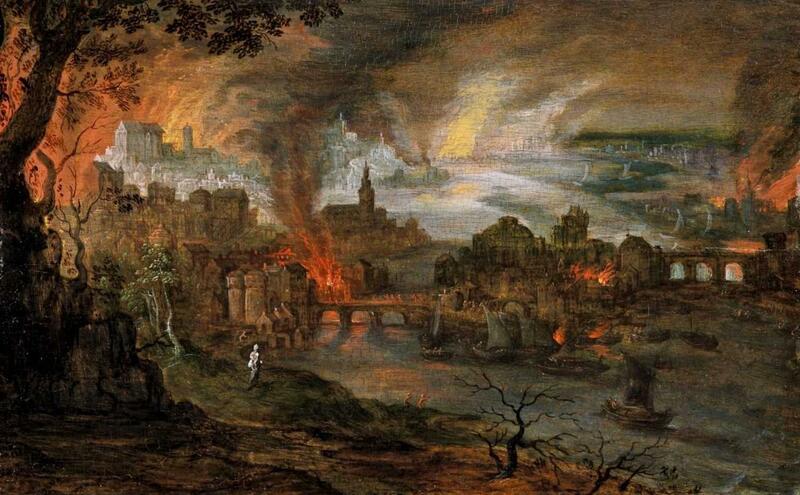 Sodom was ablaze. We ran as searing flames threatened. It was there where every moment of my life until now had been. And where the hell are we running to anyway? Could I even bear to be with Lot for one more day? Oh God! I’m turning into a pillar of salt! The man is hungry and tired and worried. The beltway – a junkyard littered with cars and ablaze with screaming sirens. He moves the wand against the child’s skin, trying to capture her heartbeat on the screen. In this dark, windowless room, there’s no telling if it’s still snowing out there. She might feel some pressure, and then utters not a single word more. Staring at the screen, he glides and presses the wand around the electrodes on her skin. All through the night, on the long journey home. I spent the first two days of this week taking my daughter from one medical appointment to another for her routine biannual checkups. (She is absolutely fine)! I’ve always been amazed by equipment such as x-rays and ultrasounds that can reveal hidden mysteries inside the human body. My daughter had an ECG for the first time, and it struck me as miraculous to be able to see inside of her beating heart. 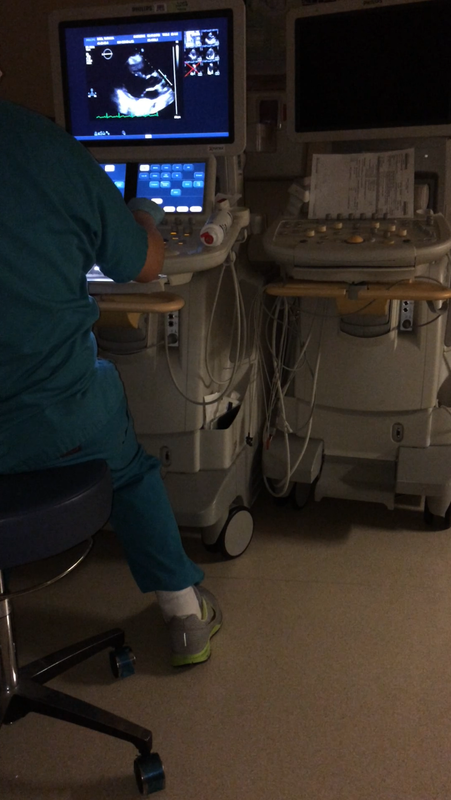 It seemed absurd that something so ineffably wondrous could be happening in a banal hospital room, and that this miracle could be translated into a series of measurable sine waves.